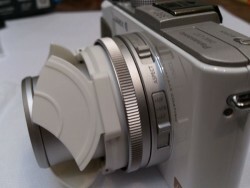 Canon PowerShot D10. Photo by rover0. 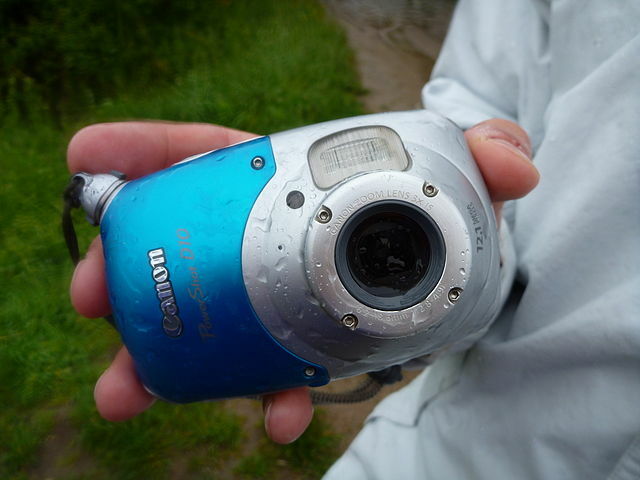 Underwater digital cameras are also referred to as rugged compact digital cameras or waterproof compact digital cameras. They are built to withstand great amounts of pressure and are designed to be tougher than the average camera. Below are the top underwater cameras that have proven to be both waterproof and have integrated features that make taking pictures at depth easy and efficient. All of the cameras listed are of comparable price, about $300.00, except the Fujifilm Fine Pix XP60, which is about half the cost. The Fujifilm Fine Pix XP60 is a great option for an underwater camera as it is affordable, compact and lightweight. This is an ideal purchase for the novice underwater photographer who is still working on technique, or the average vacation-goer who is looking to photograph a SCUBA or snorkeling trip, but doesn’t want to make a large investment. 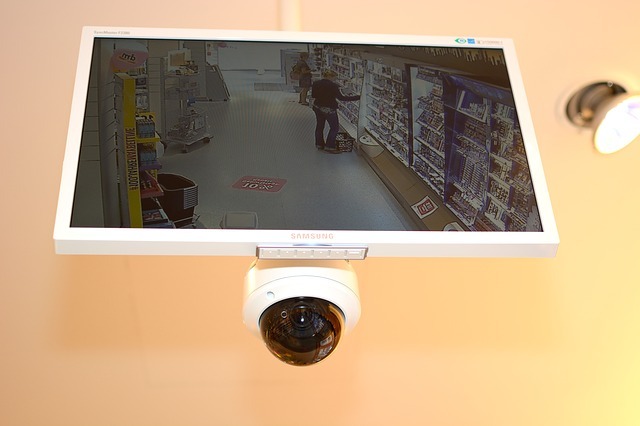 This camera also offers HD movie recording and is sandproof. This camera produces high-resolution images and is fitted with a rubber encasement that makes it easy to hold on to whether the swimmer is wearing gloves or not. While the rear screen is easily scratched, the rest of the camera is quite durable. The Pentax WG-3 can reach depths of up to 45 feet and comes equipped with a leash so divers can feel confident in keeping the camera easily accessible for more photo opportunities. The Canon PowerShot D10 has received many awards as one of the best underwater cameras on the market. This camera is equipped with a 12.1 megapixel resolution which allows it took take stunning photographs both under and above sea level; however it is not freezeproof, so it is best take another camera on any alpine excursions. While the durable casing of this camera makes it bulkier than most, the lenses is scratch proof and will provide most individuals with high quality photographs regardless of the weather. The Nikon AW110 produces high resolution images and the performance is outstanding rain or shine. This camera comes with a longer than average battery like which is capable of capturing up to 250 images per battery use. The Nikon AW110 includes Wi-Fi connectivity which is essential to those wanting to upload images immediately or do not have access to their home computer. 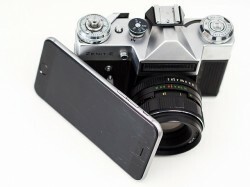 This camera is one of the most top rated on the market. 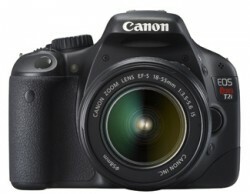 It is capable of traveling to depths of up to 40 feet and the battery is equipped to capture up to 310 images per use. The camera has a 12.1 megapixel resolution in addition to having quick auto-focus and speed which makes action shots or quick takes clearer and crisper. 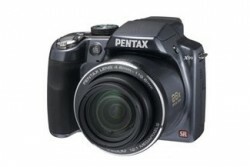 This camera is easy to hold and is great for reviewing images as well as composing grand shots. The Panasonic Lumix DMC-TS4 also offers Wi-Fi. While the camera you purchase will depend on your individual needs, travel destinations, weather, and depth as to which you will be descending, each of these cameras are equipped with superior features for dynamic use. I have been looking at underwater cameras for some time. This has definitely helped me to decide, Thanks! I have the FT3, it is the best waterproof camera, i have had it for a month now and it is great quality with waterproof and shockproof while also taking great HD pictures and movies. I would suggest this camera to anyone!